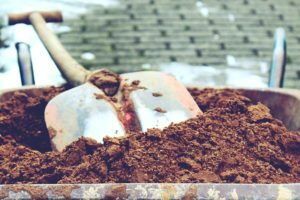 HOW DEEP SHOULD YOU DIG YOUR FOOTINGS? In moderate to cold climates, frost will penetrate into the ground when air temperatures drop below freezing. In places where winters are very cold (and long), frost will reach even farther below the ground surface. This becomes a problem for builders, because frost can “heave” the structures that we build. When pockets of moisture in the ground begin to freeze, they create lens-shaped swells in the soil. These swells get even bigger as unfrozen moisture below them is drawn up to the cooler pockets. CHECK OUT OUR HOMEOWNER CONSULTING SERVICE! 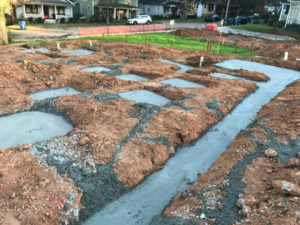 All major structures, whether they be houses, decks or highways, are built on poured “footings”—essentially concrete pads that give foundations and posts something solid and stable to sit on. 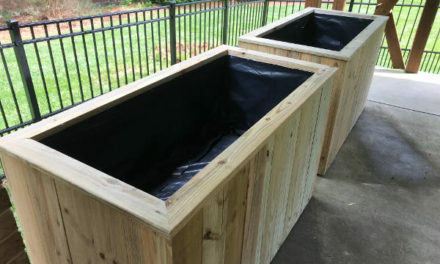 Therefore, it’s necessary to set your footings below the frost line of your particular region–the depth at which frost can no longer penetrate. Here in balmy NC, our winters are fairly brief—our frost line is 12” down. In chilly places like Boston, or Milwaukee, the frost line can extend as far down as 48”! 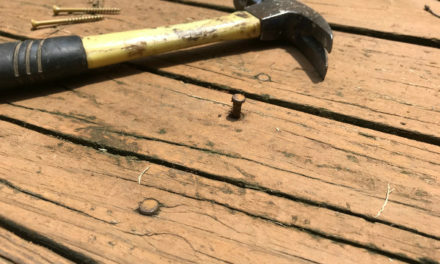 So, in NC, 12″ is technically the safe depth for the bottom of a footing. But you really can’t go wrong digging a few inches deeper. And, there are other factors about soil density that are involved, so its best to look over some code language on the subject. Here’s a link to the International Code Council’s requirements. Aaaand, a link to ConcreteNetwork that puts it all in slightly more human terms. You can also check with your local building services department to find the frost line requirements for your particular region. 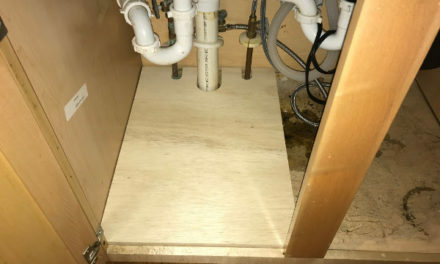 There are also important considerations to be taken about about the shape of your footing holes. Inspectors will insist on “square walls”–that is, footing walls that are truly vertical, rather than tapered at the bottom. This is because frost can also grab the edge of your footing and heave it. For a good illustration of exactly how this happens, check out the video below. Honest Carpenter Consulting is proud to be an early provider for home consultation services. If you’re in need of home advice, or just want to know more about our business, simply click the link below! 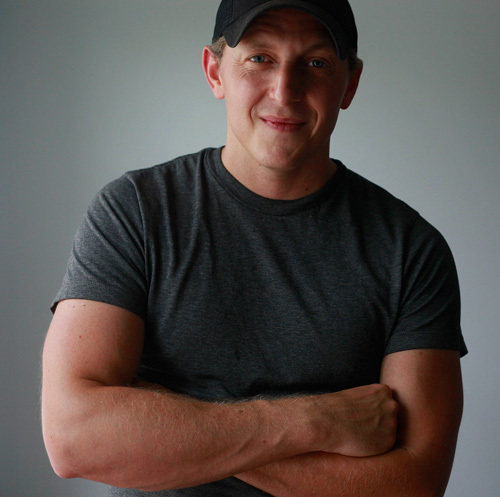 I'm a professional carpenter in Raleigh, North Carolina. I started The Honest Carpenter as a way to answer questions for my clients. Tips, tricks, Q&A, and more! Hi, I'm Ethan! I'm a professional carpenter in Raleigh, North Carolina. 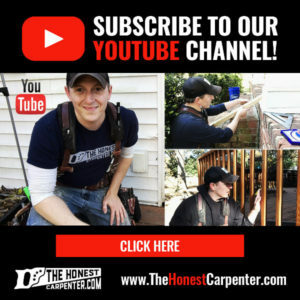 I started The Honest Carpenter as a way to answer questions for my clients. Copyright 2018 The Honest Carpenter. Made with Love by Oak City Tech. 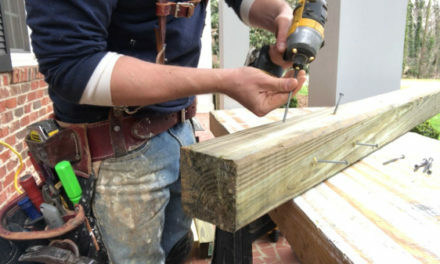 The Honest Carpenter is a participant in the Amazon Services LLC Associates Program, an affiliate advertising program designed to provide a means for sites to earn advertising fees by advertising and linking to Amazon.com. Your support is greatly appreciated!